Harman set to deliver audio upgrade to Samsung Galaxy phones | What Hi-Fi? The Vice-President of Samsung has said that it may use Harman audio technology in its Galaxy S phones in the future, though the Harman company will continue to remain independent. 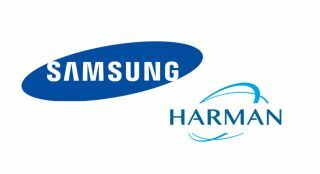 Following the $8bn deal to buy Harman International, Samsung has confrmed that it may well use Harman's audio technology in their Galaxy S phones. According to The Investor these phones could come as early as 2018, according to Park Jong-hwan, Senior VP and head of Samsung’s car parts division. Through the acquisition, Samsung takes control of the Harman Kardon, AKG, JBL, Mark Levinson, Revel, Infinity and Lexicon brands, so there's plenty of audio pedigree. It could see Samsung phones get an audio upgrade, just as LG managed with the G5 phone, thanks in no small part to a partnership with B&O. The Samsung deal also looks set to capitalise on Harman's motoring relationships, which sees the brand work with Ford, BMW, Lexus and Tesla to providing the in-car audio systems. While Samsung says it is not looking to manufacture its own cars, the company is trying to get firm partnerships with other carmakers, although Harman will remain independent for the foreseeable future.